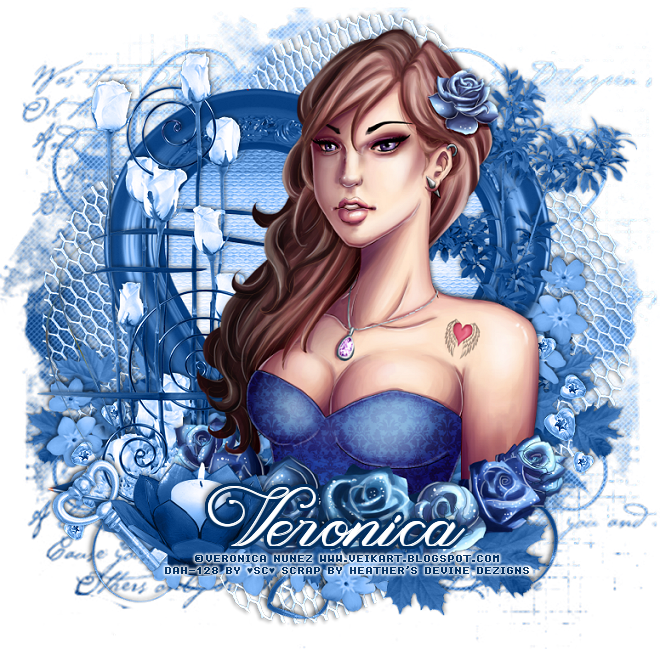 I am using the awesome artwork of Veronica Nuñez. Paste paper 7, resize to 97%, apply your mask, delete and merge group. expand by 5, paste paper 2, invert, delete, move below the frame, select none. Paste your tube on top of the frame, resize to 80% and move slightly off center. Paste element 39 on the left below the tube layer. Resize element 21 to 35%, place on the left side, being on the top layer. duplicate, mirror and move above the frame layer and adjust. below the candle layer on the left. and move up a bit. Paste element 18 at the bottom above the frame layer. close off any background used and merge visible. Resize first, then add copyright and name.